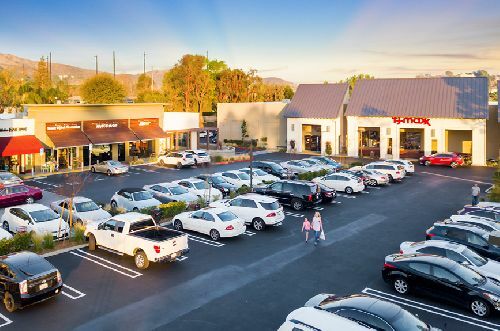 Sterling Organization acquired North Ranch Gateway, an 86.5k sf retail center in Westlake Village, for $35 mil ($405/sf) on behalf of its managed funds. The purchase was financed with $25.9 mil in debt arranged by CBRE. North Ranch Gateway is located at 30805-30895 Thousand Oaks Blvd. The center, which recently underwent a major renovation, is anchored by a TJ Maxx and features a diversified internet-resistant tenant roster. The property was 78% occupied at the closing of the financing. Shaun Moothart, Dana Summers, Bruce Francis, Bob Ybarra and Doug Birrell of CBRE’s Debt and Structured Finance team arranged the floating rate financing. The loan was structured with very competitive pricing and terms, and with the ability to draw upon funds necessary for tenant improvements and leasing commissions. Palm Beach, FL-based Sterling Organization is a vertically integrated private equity real estate firm with more than 10 msf of retail assets under management.